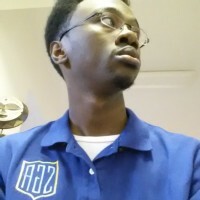 I am a 22-year-old from Atlanta, GA, graduating from Druid Hills High School in 2009, and now currently attending Southern University and A&M College where I study Civil Engineering with a minor in French. Southern University’s Engineering program is one of the top rated HBCU programs in the country, with sponsoring companies ranging from Raytheon to Boeing. When I first came to Southern, I originally majored in Architecture because I wanted to be in the construction business, mainly residential areas, but I switched to Civil Engineering after my sophomore year because the technical (math and science) side was more of my thought process, instead of the design train of thought that Architecture offered. LINKS helped me discover this side of me because they made me realize how much of calculating person I was throughout building the robot and controlling it to do the tasks meant for competition. My extracurricular activities include being the treasurer for the SU Chapter of American Society of Civil Engineers (ASCE), tuba player for the marching band (Human Jukebox), Chief Justice of the Student Government Association, Vice-President for Collegiate 100 Black Men of Metro Baton Rouge, and State Secretary/Treasurer for Louisiana’s Phi Beta Lambda Business Fraternity, Inc. I was a member of the LINKS team from 2008 to 2012. 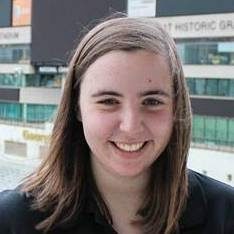 I am now studying computer science at Georgia Tech, am the project manager for the RoboJackets Intelligent Ground Vehicle Challenge team, and work on the software team for the RoboJackets RoboCup team. My experience with LINKS provided me with an incredible wealth of information on all aspects of engineering and robotics, which has helped me to manage advanced personal projects and be a contributing member for the RoboJackets and internships. The LINKS community is nearly impossible to leave behind, and I find myself coming back to visit and help with outreach events. I am a first year at Georgia Tech studying Biomedical Engineering with a focus in undergraduate research. 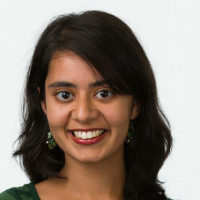 I am currently involved with the Student Alumni Association, The Biomedical Engineering Society, The Society of Women Engineers, and Women in Engineering. The skills and knowledge I gained while on LINKS is what made me choose to go into engineering. LINKS has taught me the power of networking and taught me to treat everyone that I meet as someone who could potentially get me a job in the future. LINKS also taught me how important outreach in STEM fields is, particularly to minorities and females. My work while I was on LINKS with elementary and middle school students and my involvement with the National Society of Women in Information Technology gave me my motivation to become involved with several women societies on campus to continue to promote STEM. 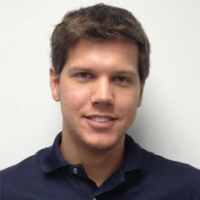 After graduating from Georgia Tech with a Bachelors in Biology in May 2012, I went onto graduate school at Purdue University. I’m currently a second-year student in Biology Education Research. Being involved in LINKS throughout high school opened up so many doors and opportunities for me. Having experience teaching hands-on activities to elementary school students during Science Night Out allowed me to explore my love for teaching. For two consecutive summers, I was given the opportunity to work with high school teachers and NASA scientists at Georgia Tech to develop curriculum materials in Astrobiology and to implement these materials during the summer camps. I’ve also had the pleasure of teaching various biology courses to undergraduates. With my experiences, I spread the joy of math and science just like Dr. Huffman has been doing for so many years!  I was inspired to pursue computer science by my high school computer science instructor and mentors of my robotics team, the Fernbank LINKS. 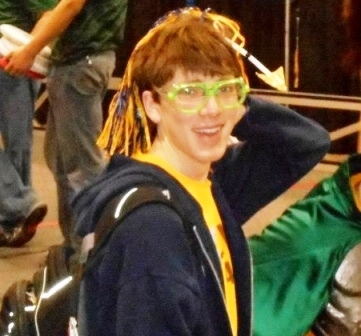 One of my most exciting moments in being a part of the robotics team was participating in the annual Georgia BEST (Boosting, Engineering, Science and Technology) Robotics competition and winning first place in both the Robot Performance and BEST Award categories during the 2011-2012 season. 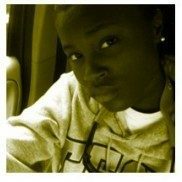 I am currently attending Wesleyan College and pursuing a self-designed major in Integrated Digital Media. I currently serve as the Ambassador for the Lane Center which is the community service organization on campus, president of the French Club, a member of Wesleyan Disciples, our Christian organization and a Mary Knox McNeil scholar. My goal is to start a mentoring program focusing on science, technology, engineering and mathematics (STEM) for elementary and middle school students. 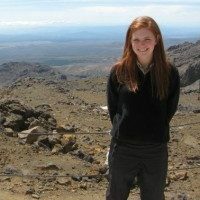 LINKS inspired me to pursue a career in engineering and gave me the groundwork to strive in the field. The program provided me with valuable experience that set me apart in not only the classroom but the college internship search. I am now a senior at Georgia Tech earning my B.S. in Mechanical Engineering. 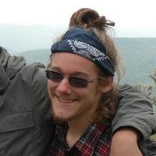 My name is Willie Agnew, and I’m currently a freshman at Georgia Tech. I started building robots when I was 10 and participated in FLL competitions during middle school. I joined LINKS in 9th grade, served in a variety of roles including chief engineer and CEO, and participated in the VEX, BEST, FRC, KidWind, and the solar car competition. 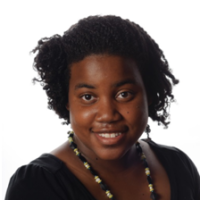 My three years as a LINKSter lead me to my interest in Biomedical Engineering. Dr Huffman and LINKS exposed me to an enormous amount of technology, engineering and science. I am truly thankful for my LINKS experience. My name is Sydney Shaffer, and I am currently working on an MD and PhD in Bioengineering at the University of Pennsylvania as part of the Medical Scientist Training Program. 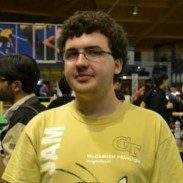 In 2010, I graduated from Georgia Tech with a BS in Chemical Engineering. I met Dr. Huffman when I was a ninth grader at Lakeside High School and signed up to be on the first LINKS rocketry team in 2002. From then on, I happily spent my high school years working on different projects and competitions with the LINKS team. With many hours building our rockets and robots, we learned problem solving skills, developed work ethic, and became committed to community service. Additionally, it was through LINKS that I fell in love with engineering and for that I am forever grateful. 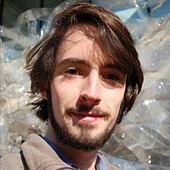 Michael Chaney graduated from Lakeside High School in 2009 and proceeded to Georgia Tech where he is pursuing a Bachelor’s of Science in Architecture. 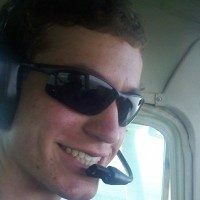 His interest in science and especially aeronautics was encouraged by Dr. Huffman through both STT and LINKS and he is now a member of the Yellow Jacket Flying Club working toward his private pilot’s license in single engine land airplanes. 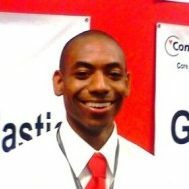 During the summer he works as an intern for SRA International contracting for the IRS in both computer/systems engineering and project management capacities. Though he waited until his senior year to get involved with LINKS he enjoyed his time there as well as the opportunity to come back and help out especially at LINKS Alumni Science Night Out. Michael still does not know what he wants to do with his life but he is shooting for the stars in hopes that he won’t miss by much! I am a fourth year Cognitive Science and Cellular Biology student at UGA. I work as tech support for Georgia Tech Research Institute over the summer and plan to enter a career in neuroscience after graduate school. I am involved in debate and an ecology club where LINKS has given me the inspiration to initiate and partake in many projects such as dormitory worm composting, football game day recycling, and hydroponic and sustainable gardening. LINKS has given me a technical background and an appreciation for the impact of exposure to science and technology in many stages of life, thanks to the hard work of the highly motivated LINKS advisors and members. I am currently a student at Georgia Tech in the Industrial Engineering degree program. I am actively involved in several organizations including Alpha Phi Omega, a national community service fraternity, as well as with the Residence Hall Association, the governing body for all of the residence halls on campus. All of the programs I participated in at Fernbank Science Center, since the 4th grade; especially LINKS, have been very instrumental in my success. I use so many of the leadership, community service, problem solving, and organization skills every day at Tech. LINKS was very instrumental in fostering my passion for engineering and aviation. Participated in LINKS in 2005-06 and worked on the BEST robotics team. 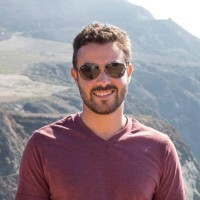 After graduating Georgia Tech in 2011 in Management/Computer Science, I worked as a software developer at IgnitionOne for two years before starting as a front-end developer at Yahoo. My experience working on the site for our BEST team was invaluable in leading me to my current profession. As well, it was very good to go through the experience of competition and learning engineering principles while still in High School. Hello all my name is Malcolm Pickett. 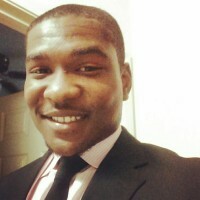 I am a junior Environmental Engineering major at Morehouse college. I joined the Links team my freshman year of highschool in 2007 and continued as an active participant until I graduated in 2011. As I progressed on the team I was presented with many internship opportunities, some of them being breakthrough Atlanta, UGA young scholars program, and a teacher’s aid at Atlanta youth academy just to name a few. Although I am not employed I do participate in the NSBE ( national society for black engineers) chapter on campus. Links has taught me a lot about my self and how I operate in teams which has made me what I feel a better college student. My name is D’Ante Christopher Wilson, a sophomore mechanical engineering student from Atlanta Georgia. I spend all my free time working with student organizations and giving back to the community. As head intern for the Student Government Association(SGA) I help plan run major event such as Greatest Homecoming on Earth (GHOE) and Aggie Fest. As a part of the Conference committee for the 1213 North Carolina Agricultural and Technical State University Chapter of National Society of Black Engineers (NSBE) I help plan bring my chapter to the Regional and National Conference for NSBE. Through my participation of other student organizations such as Bombshells in Business, Student University Activities Board, Aggie Robotics and Intramural Soccer team I have earned the title of being one of the most involved aggies on campus. Last year I earned the SGA Intern of the Year and NSBE Member of the Year. My freshman year was an excellent one and Its all thank to LINKS that I found engineering in the first place. My name is Justin Gold and I began LINKS my 11th grade year and continued it until graduation. I currently attend Auburn University; I began my college career as a material science engineer when I quickly realized my success in finance would be a better suit for me. Despite the change of my career path LINKS has helped gain many connections to colleges while I was in high school and also attain scholarships. I currently continue my career path as Finance major while still holding on skills and knowledge I received as a member of LINKS. My work with LINKS probably helped me get selected for Georgia Tech’s Honors Program. The work I did in LINKS, mainly rockets and robotics, helped me the most in two ways: 1) Conceptual Design – This was one of the biggest parts of BEST. As you know, each team is given materials and you have to, while minimizing waste from trystorming failures, make a robot. Anything goes! LINKS fosters creative problem-solving skills. 2) Communication – Communication about conceptual designs and technical material is extremely important, especially when you have material, cost, and time constraints. LINKS provided an opportunity for social and intra-team communication. 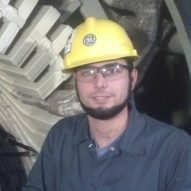 After earning my BS and MS in Mechanical Engineering I was hired by GE Energy. Participating on the LINKS Robotics Team was absolutely gratifying and rewarding in many aspects. Because of the knowledge that I’d attained through the three years as a team member and private study I occasionally instruct Robotics for several organizations. Dr. Huffman has always been a Great guide, I am immensely thankful for her friendship, leadership, and support! I currently live in The Twin Cities of Minneapolis as a Flight Attendant with Compass Airlines, LLC which is a Delta Connection carrier which was created by former airline Northwest. I’ve transferred to The University of ST. Thomas where I am studying Psychology. Due to Dr. Huffman’s Positive and Lifetime Impacts, I maintain enthusiasm for Robotics and Aviation. Thank you for being an unsurpassed educator! My name is John Amin, and I am a Fernbank LINKS alumni. I first came to LINKS in my senior year of high school. I gained so many valuable experiences from my year with the team. I learned how to use Autodesk Inventor (a 3D CAD program) and power tools, while at the same time applied my previous knowledge of math and science to whatever task was at hand. Thanks to LINKS, my senior year was not only my favorite year, but also the most informative and useful year of my high-school career. Today, I am a student currently attending Georgia Tech, and working towards a BS in Aerospace Engineering. I am currently in my freshman year attending Georgetown College where I plan to major in Computer Science. The program has taught me to stay open to new ideas from my peers and professors. The ability to earnestly listen and understand the concerns of everyone around me has become a great asset in the classroom as well as life in general. I have proudly shared the stories of leadership and accomplishment with everyone I have met on campus. I have started light years ahead of my computer science class that revolves around the learning of C++ which I have already started to learn from fellow LINKSters. Presentations are a breeze now after all of our outreach programs such as SNO and speaking to judges in competitions. One thing I always loved about our organization was our sportsmanship. We were humble in every victory and setback. I take great pride in this then and have carried it with me into college golf. I represent my college on the golf course with same pride as I represented the LINKS team in high school. All of the close calls and tight finishes in robotics competitions have taught me how to consistently perform in high pressure situations. This preparedness always comes in the form of practice weeks before competition. All of the lessons and friends made with the LINKS have helped to make me a complete and balanced person who is prepared to confront real world situations that need to be dealt with every day. I participated in LINKS from 2010-2012. I am currently a freshman at Southern Polytechnic State University majoring in Mechanical. Soon I will apply for internships at ORAU, BMW, Ford Motor Company, and various other engineering places. I plan on going to the Air Force after earning my Bachelors Degree. My work on the team has given me a great to start to my engineering curriculum, every project I have done so far is divided into a work team and a marketing team, just like in BEST. My name is Bijan Haney and I’m an intensive physics major at Yale University. 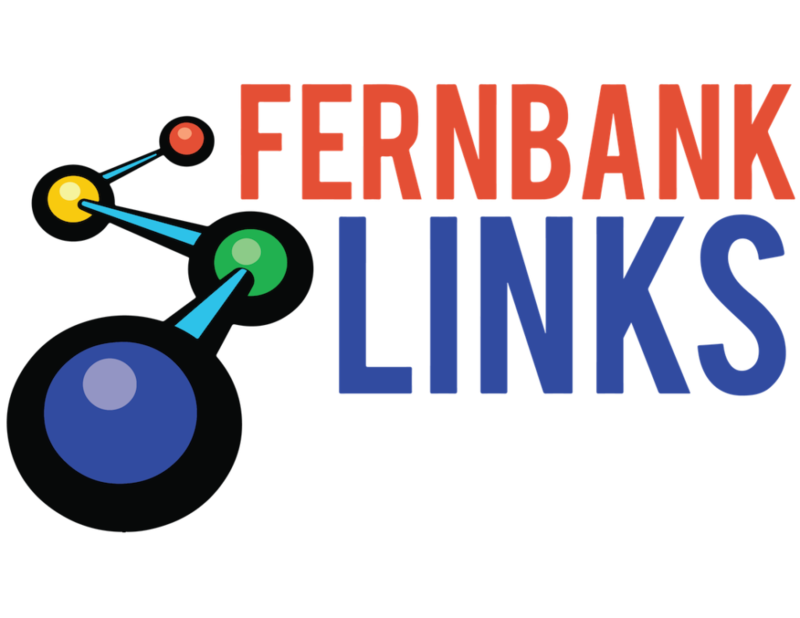 Fernbank LINKS introduced me to the joys looking closer at the world and figuring out how things work. Building and tinkering with robots got me to appreciate how the constituent parts of the machine, like the wheels, gears, claws, and arms, all have to work together in order to get the whole robot to move and function. LINKS also was the first place where I truly saw physics in action and understood how we could use it to answer useful, real life questions. Now that I’m at college, I’m studying physics and learning about how the forces of nature move us and everything around us, including robots. I’m currently working as a physics tutor and and will begin research in particle physics next year. After being persuaded to join the team by my older sister I was able to gain some valuable experience while working on the LINKS marketing team, specifically with the website. Being a part of the LINKS team also led to several memorable achievements including the highlights of my senior year. Not only was I able to receive the National Center for Women & Information Technology (NCWIT) national “Award for Aspirations in Computing,” but also as a result of the Posse Scholarship, I was able to receive a full tuition scholarship to continue my education at the College of Wooster, in Wooster, Ohio. I am planning to pursue an undergraduate degree in computer science with a minor in history. Beyond college, I plan to continue, my relationship with both BEST and FIRST robotics by serving as a mentor. I am a joint-enrolled student at Georgia Southern. I am currently finishing up my senior year in high school while completing my freshman year of college. I am studying Aerospace Engineering and I am in a program here that is callobrated with Georgia Tech called GTREP. I was in LINKS for two years and this one would have been my third and I feel that it helped mold me into a better person. I also feel that it helped me plan out my carrer path and my career goals. I truely want to thank Dr. Huffman, the mentors, and the parents for doing all that they could to help the students in LINKS. I plan to graduate in May 2011. After that I plan on finishing my sophomore year here at Southern and then transfer to Georgia Tech under the GTREP program. I participated in LINKS throughout my entire high school career. I attend college at UGA currently undecided with an interest in Advertising psychology and journalism. LINKS helped me prepare for real world problem solving and creative thinking. I meet a great group of people I’ll never forget. Learned a great deal about working as a team to acomplish a large task in a tight deadline. I worked on both the robotics and marketing teams. I was lucky enough to participate in each part of the Fernbank team.